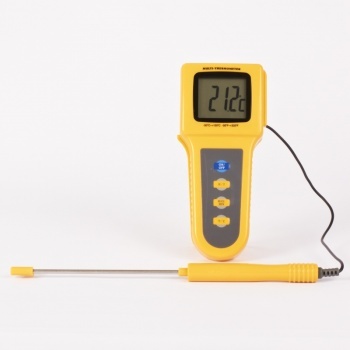 This digital kitchen thermometer is perfect for use in your kitchen at home or in the catering industry. This handy thermometer comes with a built in stand to allow it to be left measuring the temperature and leave you hands free to continue cooking. These kitchen thermometers have a large 4cm x 3.5cm display and simple push buttons which make it very easy to use, with a long 213mm temperature probe, ability to show both °C and °F and a wide -50ºC to 150ºC temperature range. Which has a large Lcd display. This is a generic thermometer ideal across all industries from catering to research and science. This digital thermometer has an integrated stand so that when your hands aren’t free, you can still measure the temperature. 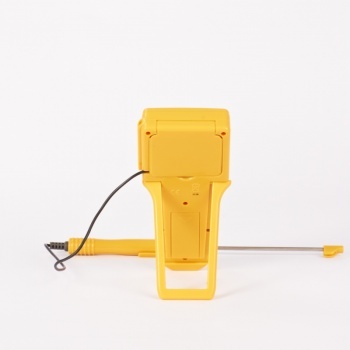 The probe is attached by a cable which gives you flexibility in the probes positioning hen recording a temperature. The large display screen makes it easy to read the measured temperature. PLEASE NOTE: This unit comes in a plain white box nor is this unit waterproof.